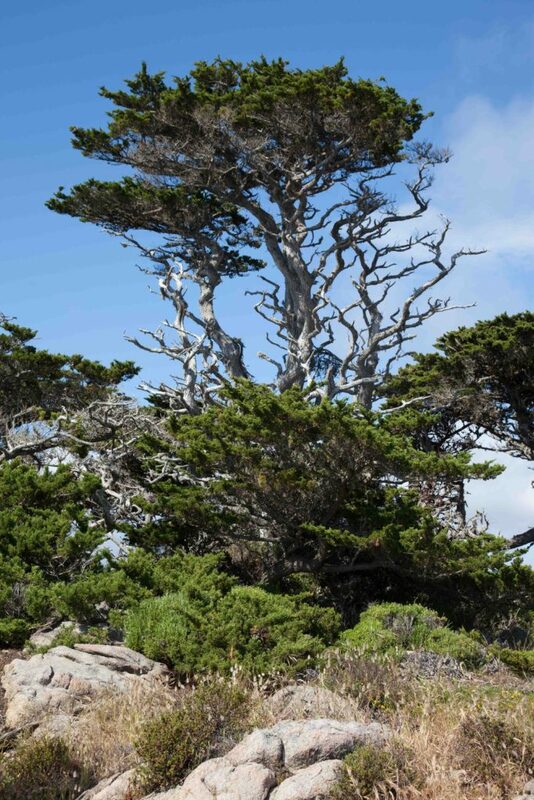 Although widely planted elsewhere, this is native only to the Monterey Peninsula and Point Lobos. 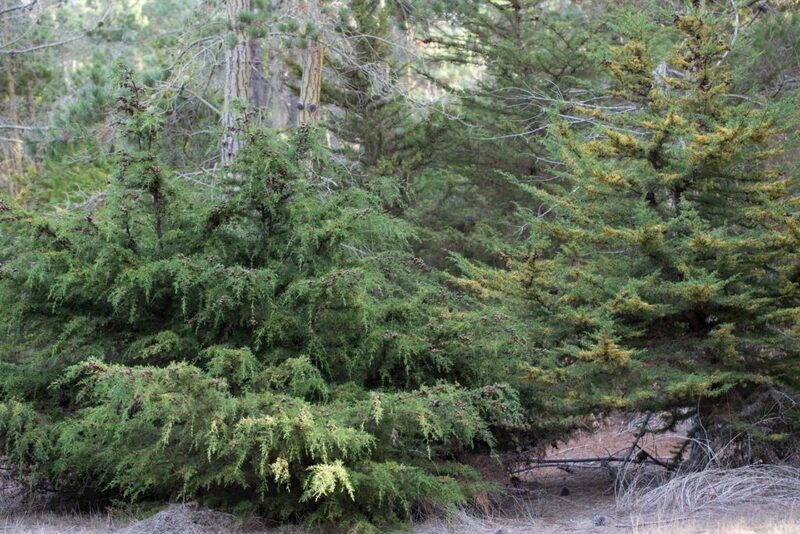 Younger trees tend to have narrow, pointed crown, mature trees are often widely spreading with flattish, rounded crowns, occasionally dramatically wind-swept. 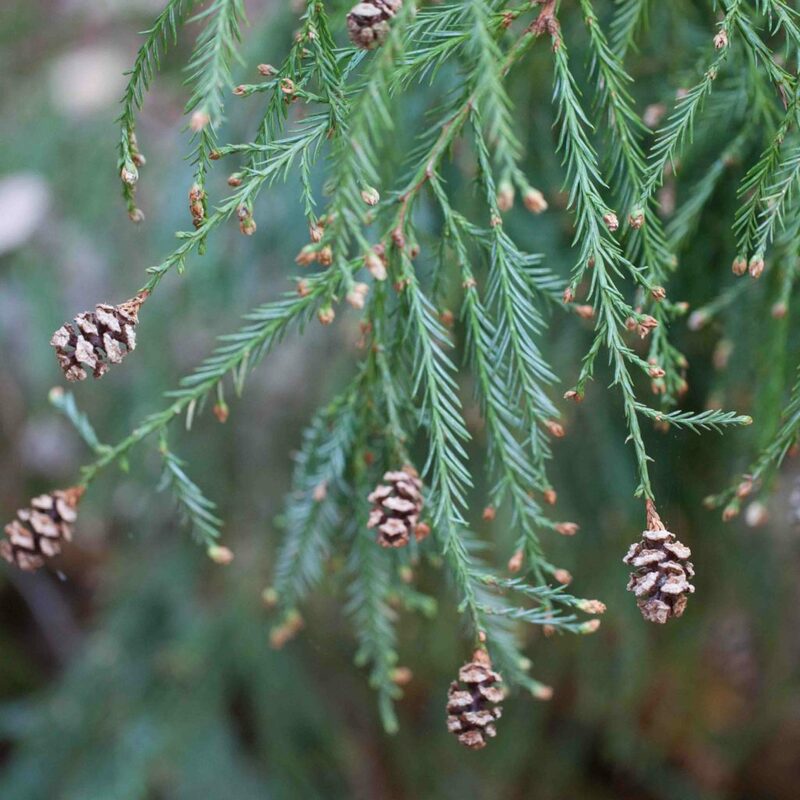 The evergreen leaves are dark blue-green and scale-like. 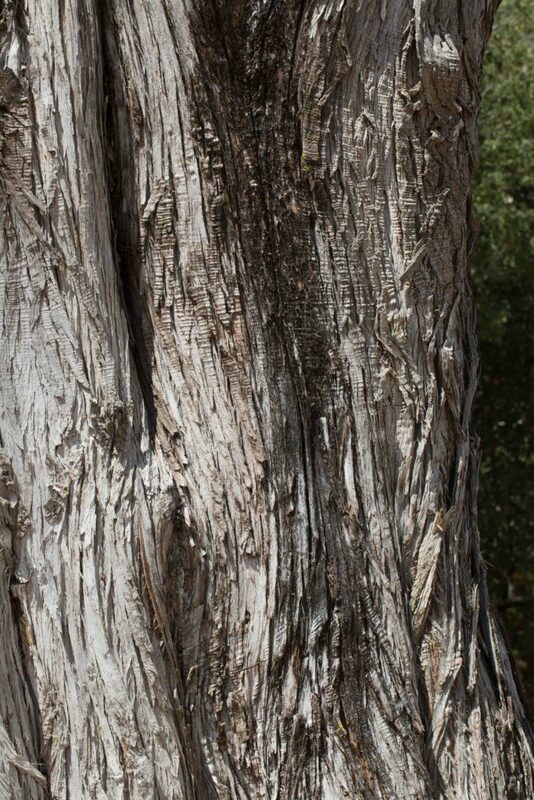 The bark is fibrous and ranges from a rich brown to ash-gray in age. 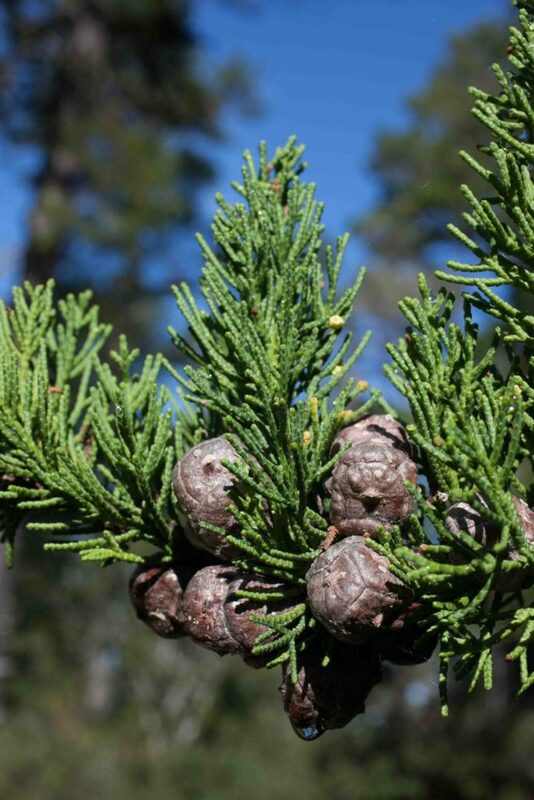 The fruits are distinctive, forming tight, rounded cones with clearly segmented scales which open up with age. 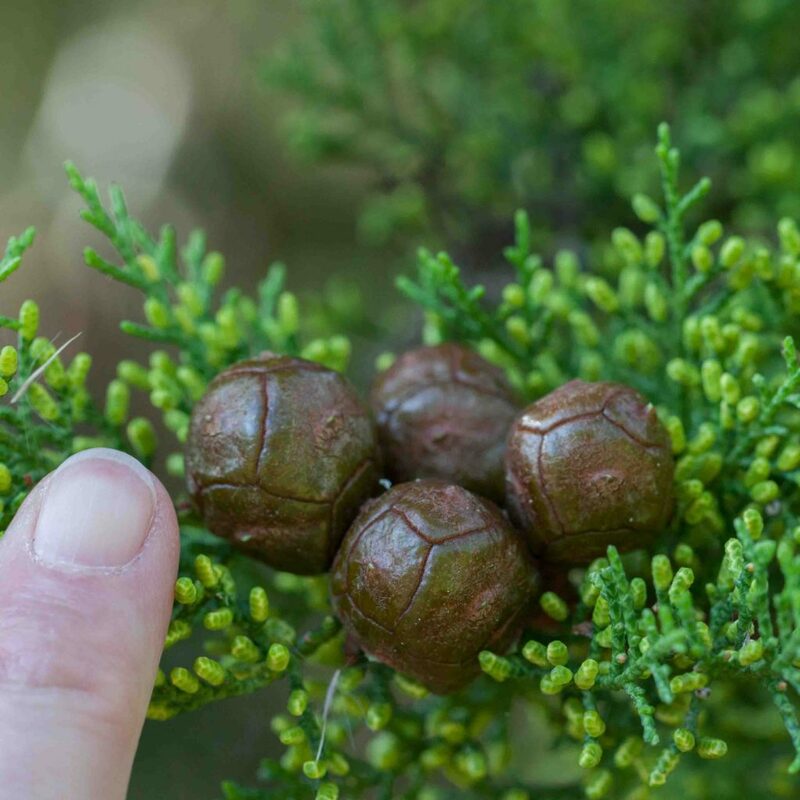 The cones are 2–3 cm in diameter. 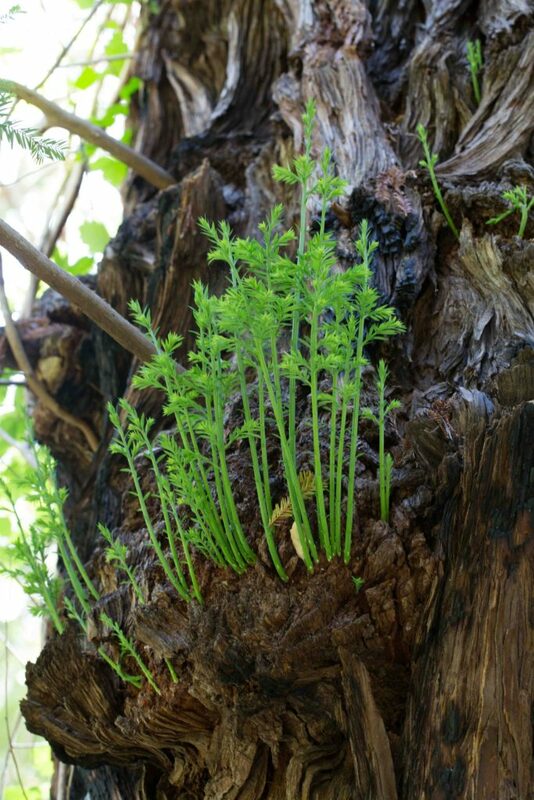 Included in the CNPS Rare & Endangered Plants Inventory (1b.2). 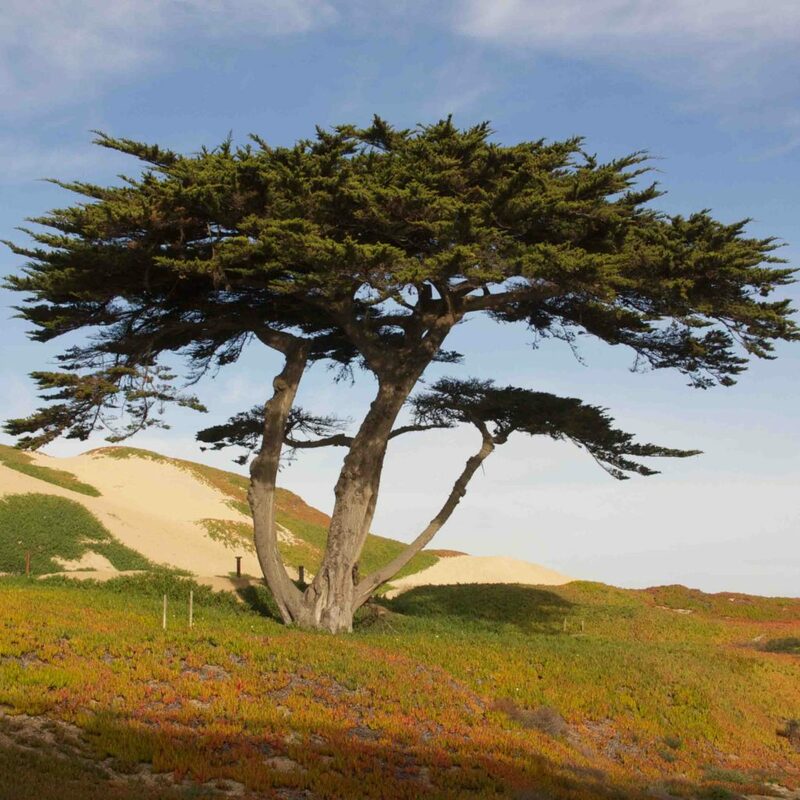 Like the Monterey Cypress (Hesperocyparis macrocarpa), this is found natively only on the Monterey Peninsula and, unlike the Monterey Cypress has not been widely planted elsewhere. 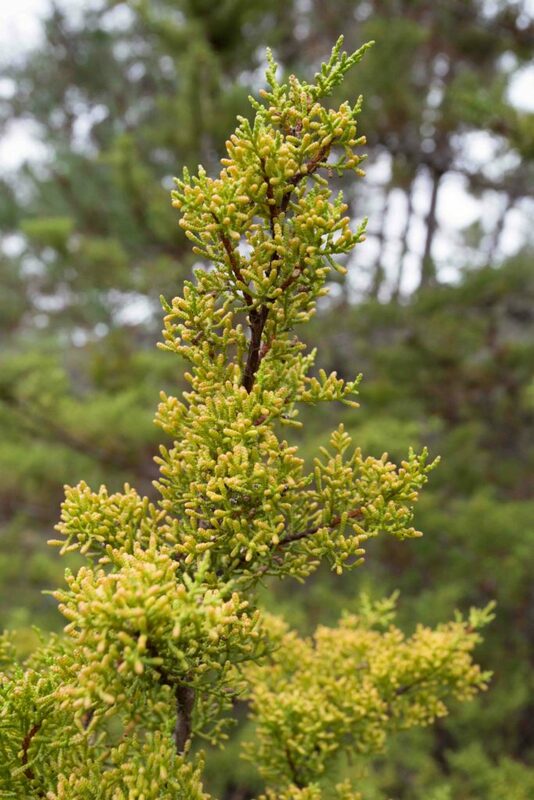 It is a dwarf form, no more than 7 m tall, with paler, yellowish-green foliage and much smaller cones (1.5–2 cm in diameter). 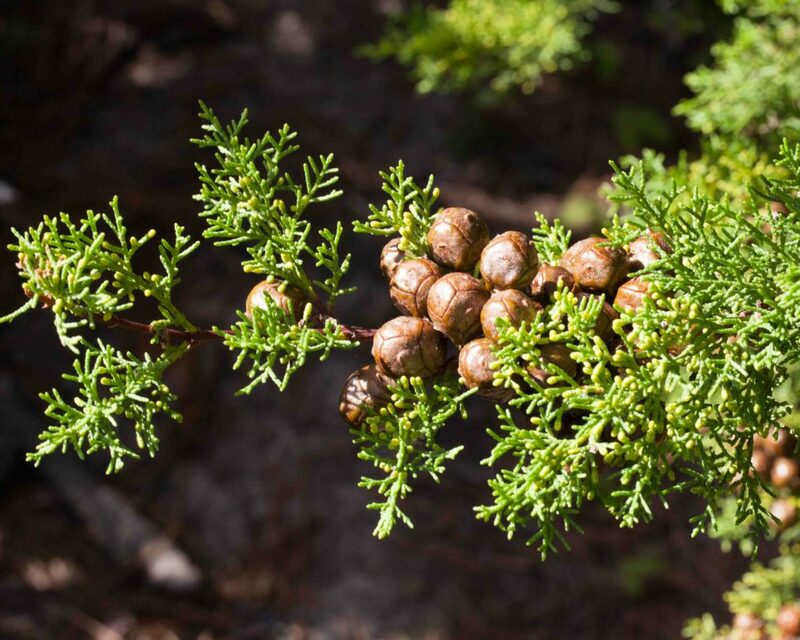 Included in the CNPS Rare & Endangered Plants Inventory (1b.2). 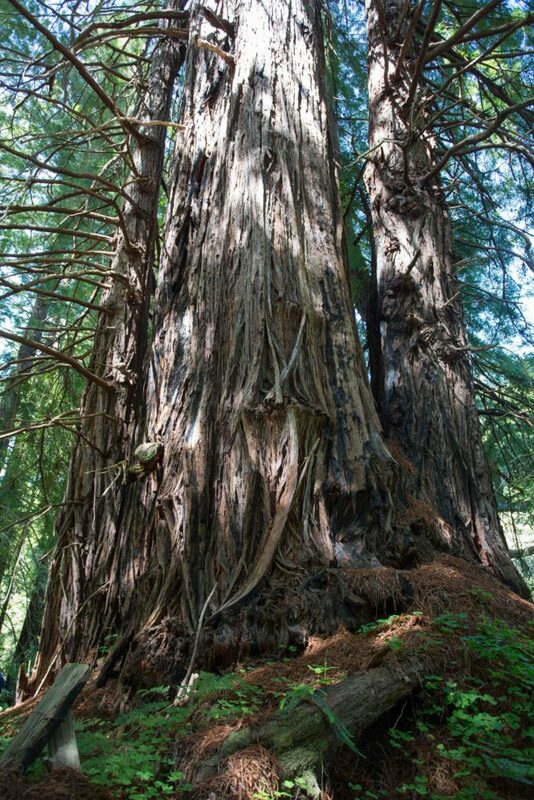 This magnificent tree needs little comment. 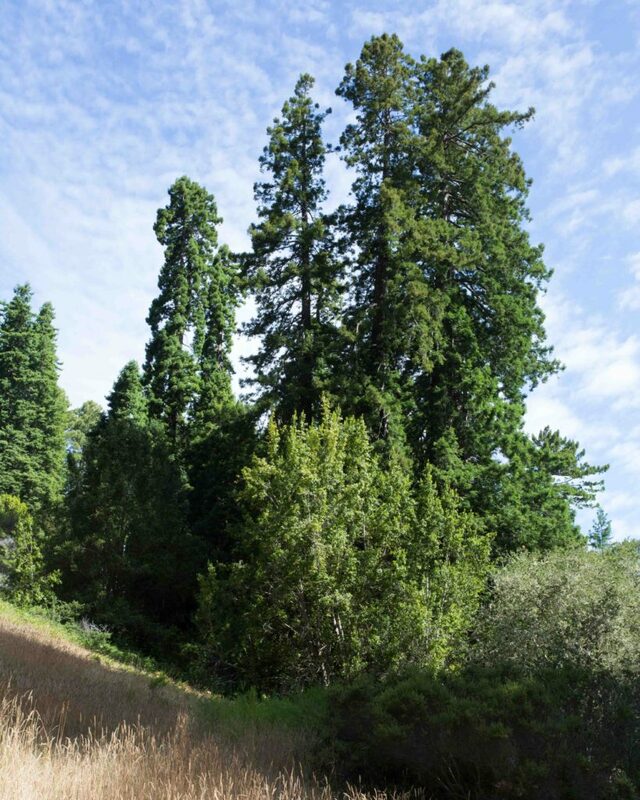 Less massive but taller than the Giant Sequoia (Sequoiadendron gigantea), it is extraordinarily long-lived (1200–1800 years or more) and the species include the tallest trees on the planet. 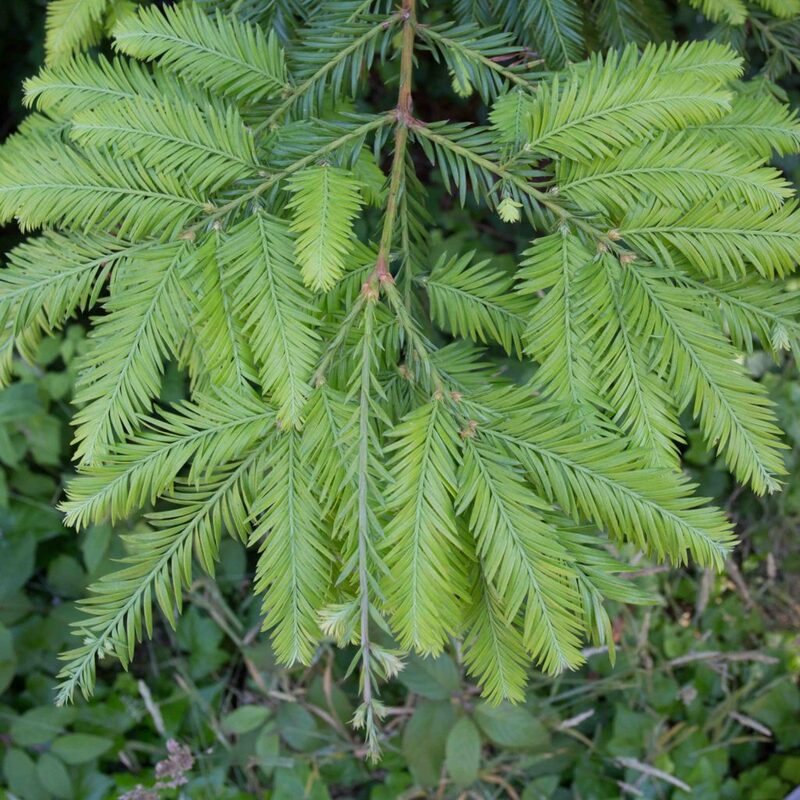 The short (10–25 mm) bright green leaves are alternate and flat (though leaves near the tops of the tree tend to be closed and scale-like. 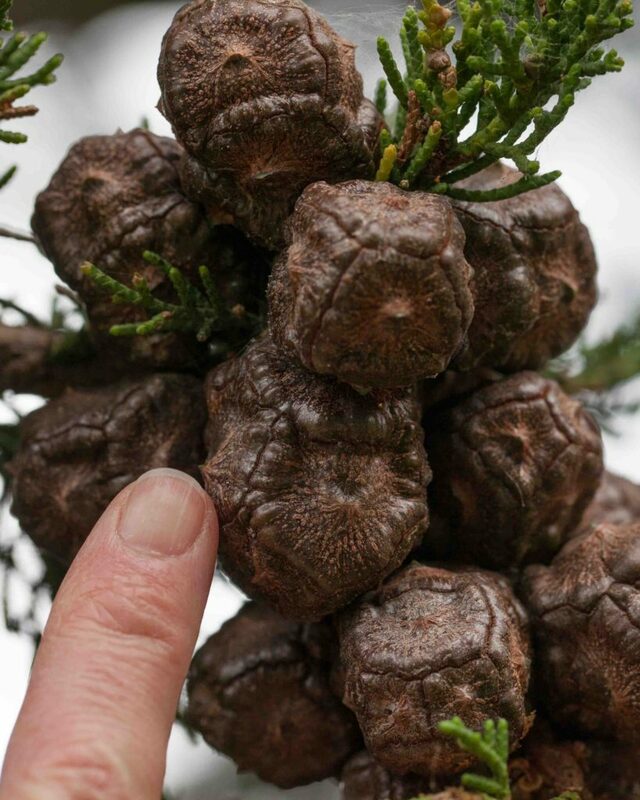 The cones are absurdly small for a tree of its size, no more than 35 mm in length. 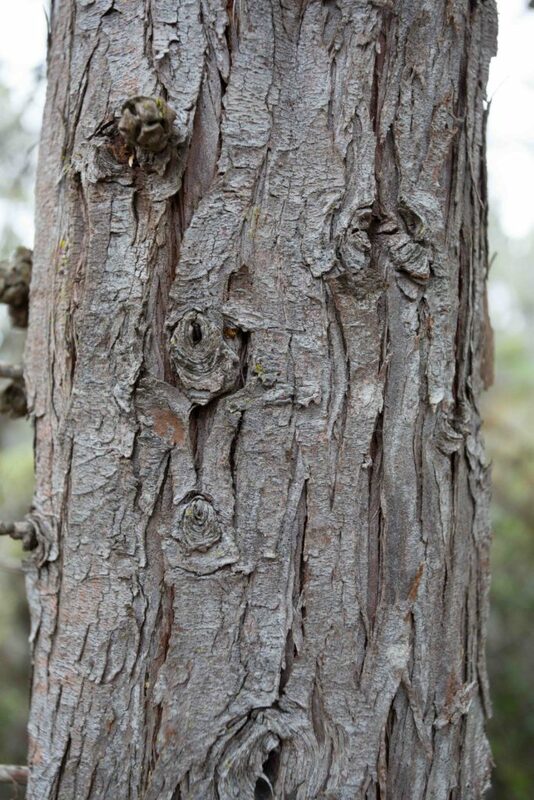 The thick, fibrous, reddish bark provides effective protection against forest fires and the trunks frequently have burls, repositories of dormant buds which enable the tree to regenerate asexually. 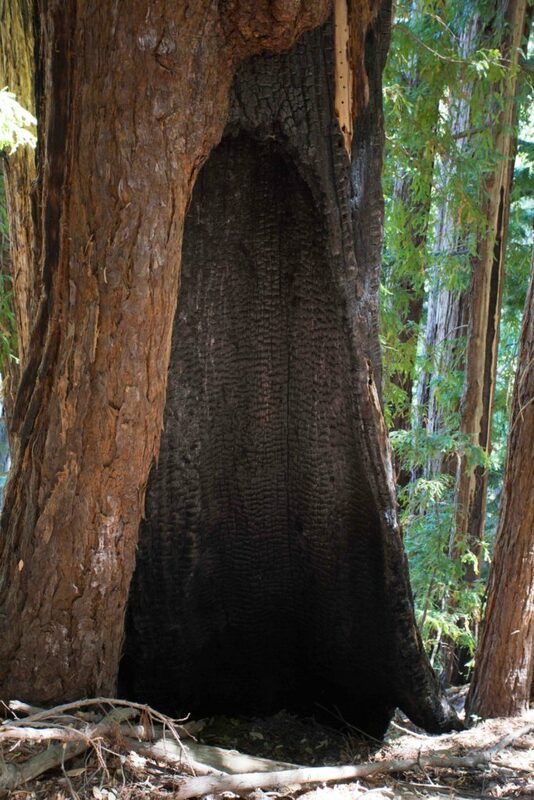 Although wildfires will rarely destroy a Coast Redwood, it may hollow out the base of the trunk to form what are sometimes called “goosepens” (places where settlers in earlier times were able to corral their livestock).